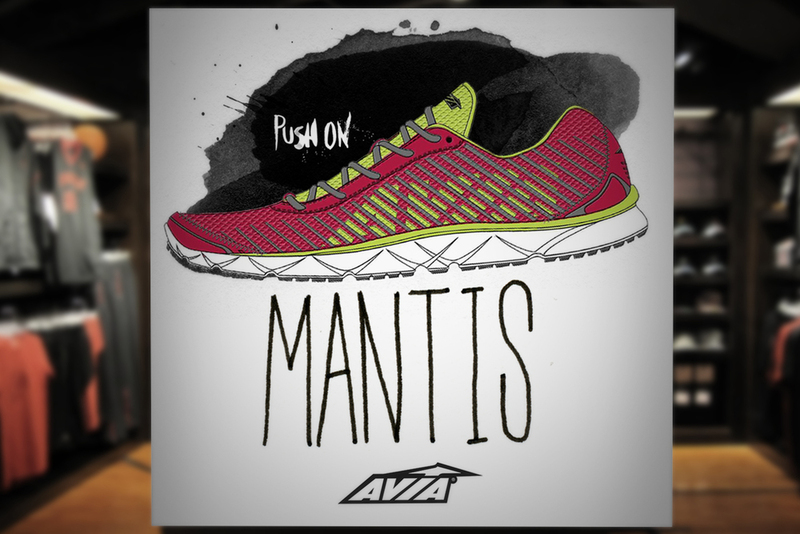 Our mission was to take AVIA away from being a family shoe brand and give it the teeth to speak to the mindset of the cross-fit audience. They needed something uniquely ownable that distanced them from the high-polished, generic athletic shoe market, where NB, Saucony, K-Swiss and others all look the same. The work needed to feel raw, stark and brutally honest. 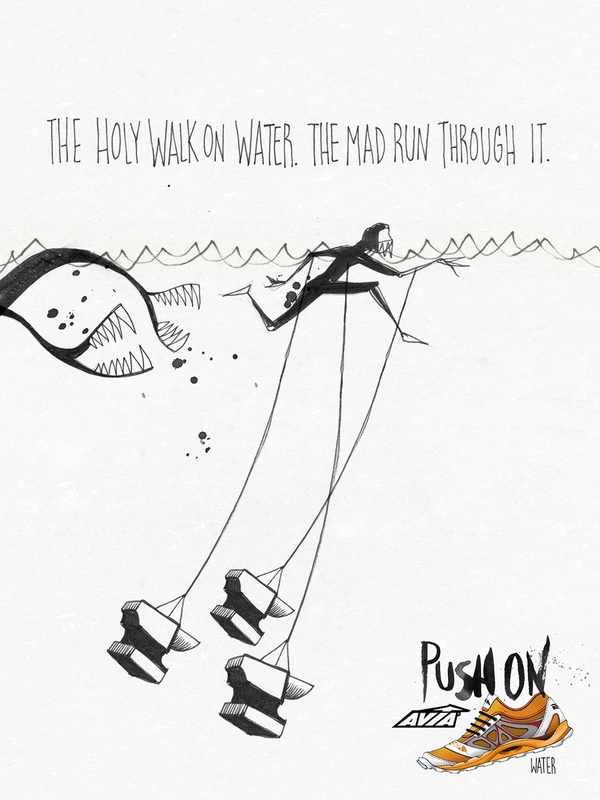 The illustration solution was both conceptual and practical. Conceptual in its distinction from the glossy running shots that everyone else in the category were using, and practical in that we could do it in-house on the cheap. The athletes we were talking to take a masochistic approach to their training. They give everything they have, every workout. 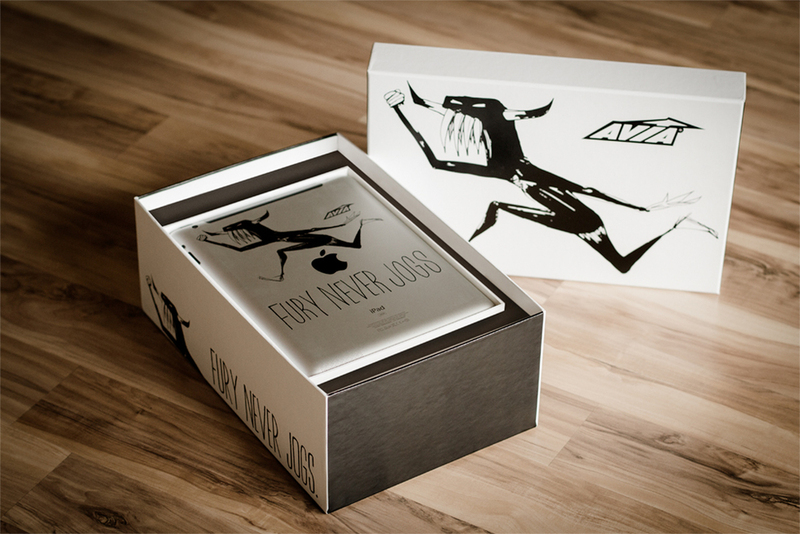 We wanted to champion that idea, and let them know that AVIA understands how they think, and how they train. That’s why we embraced black-and-white, both as a color palette and a philosophy. Either you’re training or you’re not. There’s no gray area. The imagery we chose were hyperbolized metaphors for all the challenges athletes face, external as well as internal. Paid off with a simple, honest truth. 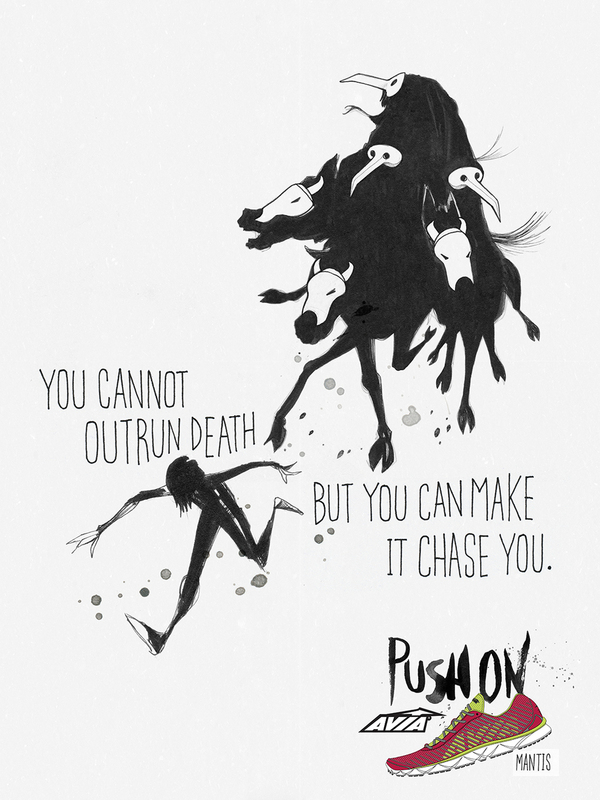 Push on. The result was AVIA signing contracts with over 500 cross-fit gyms across the country, and striking a chord with cross-fit athletes everywhere. In the parking lots of retailers, as well as at gyms like 24 Hour Fitness (where we had mobile retail stations) we proposed setting up “Push On” Challenges. The world’s tallest rope climb. The world’s tallest climbing wall. 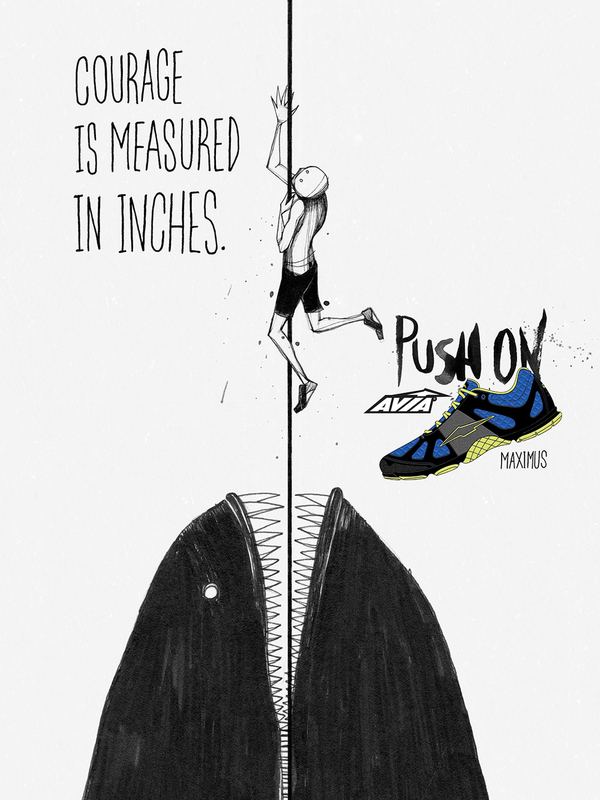 At these types of venues, we’d find people that share our “Push On” mentality, and speak to them about how Avia designs its shoes for the voluntary masochist. 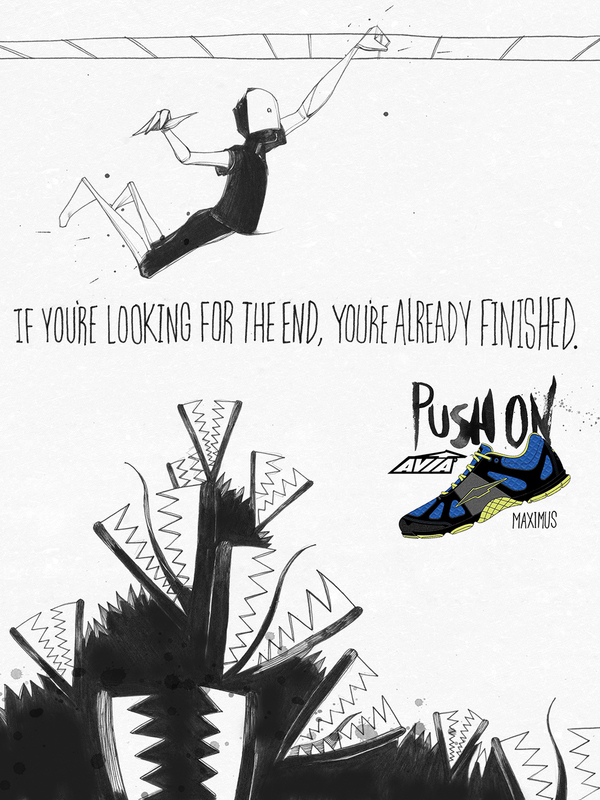 The ones that keep pushing and never stop. 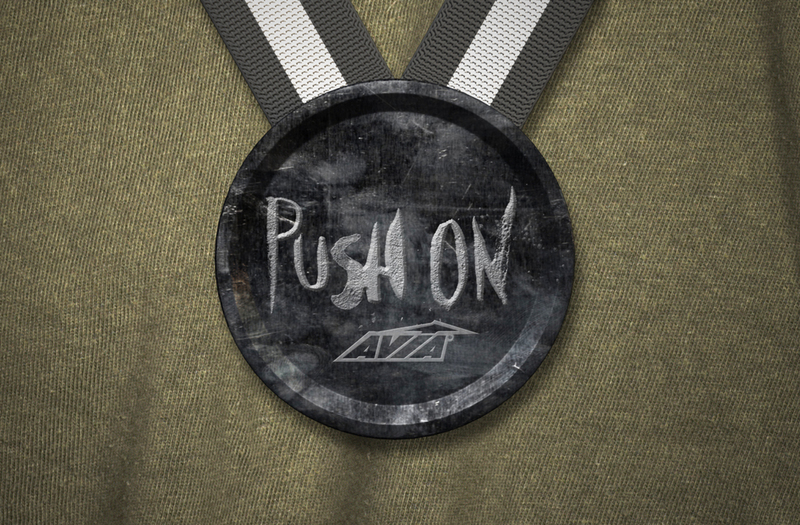 200 yards past official race finish lines we put up our own, seeding the idea of pushing further... resulting in its own medal.